What exactly do we mean by the voice of the customer? Simply put it is how a company will gather information about how customers feel about the business and its products. For customers this will mean that they have an opportunity to voice their opinions about the company. They will feel that the company respects them enough to value their opinions. Are you receiving customer satisfaction feedback? It is a vital part of good customer service to understand what customers are saying about your company. This is why customer satisfaction surveys are conducted by most companies to find out what people are really thinking and what their experiences are in relationship to the company. Unfortunately these surveys are not always used to the fullest advantage by company executives in building customer loyalty. They may be used to solve a particular problem rather than improve the overall performance of the company’s customer service. Consequently the full value of the voice of the customer is not realized. The customer satisfaction survey is not looked into in enough detail and much of the data is glossed over which renders them ineffectual. The correlation of customer surveys and company performance is not given enough importance. Employees tend to be lax in conducting surveys, or worse still not bother to do them. This results in valuable data being lost. 1 – Listen and record customers’ feedback. The company should understand all the comments made by customers and take them into account. Surveys should be taken from a good slice of the customers so that the voice of the customer is fully represented. They will be in regard to company changes in business policies and new products and services. To make the customers’ voice heard and effective the customer should be considered in all phases of business and decision making. 2 – Ensure surveys result in engagement. It is the interaction of customers and employees of the company, i.e. customer service representatives. This is a proactive positive interaction. Customers feel free to voice their opinions to employees of the company. In turn the employees can use this feedback from the customers to improve a number of aspects of the company. This will build good relationships and loyalty amongst the customers for the business. Having a voice of the customer system in place will help you to keep your finger on the pulse of your business and enables you to hear from multiple sources what your customer is thinking and feeling about the company. After all the customer is the one that generates income for your company. Therefore it is very important to know how they feel about different aspects of the company. 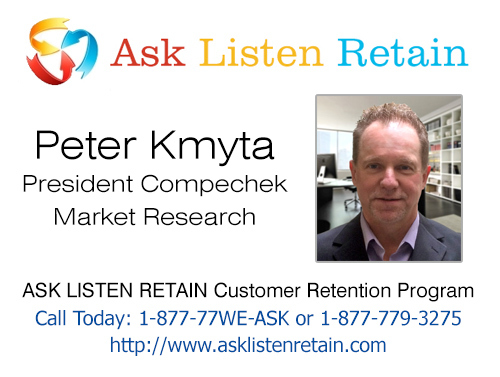 Look for part 2 of this important topic on building customer loyalty!